This tuna salad is super flavorful, thanks to briny olives and sweet red bell peppers. And there’s no bread required! In a small bowl, mix together the tuna, mayonnaise, yogurt, onion, celery, red pepper, olives, and black pepper. 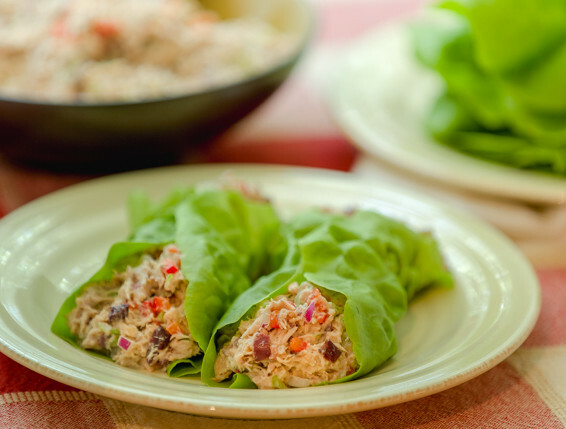 Divide the tuna mixture among the lettuce leaves (about 1/2 cup tuna salad per lettuce leaf). Fold to form a wrap.